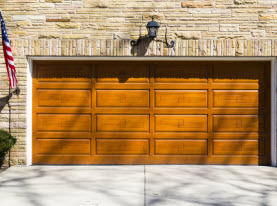 Garage doors not only protect our homes from the elements such as high wind and rain but they are also the main security feature protecting whatever contents we keep in our garage (this could include vehicles and expensive tools) as well as prevent unwanted entry into the house. 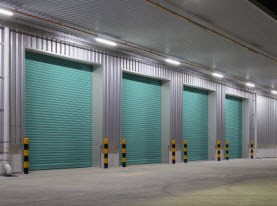 Also, as Las Vegas is in a desert region of the southwestern United States, our garage doors also help prevent dirt and sand blowing into our garages. Garage doors have weather stripping to seal the opening to mitigate this dirt and soil access. However this weather stripping doesn’t last forever and must eventually be replaced. In the Vegas Valley, heat is our primary concern, and not the retention of it like in other places. 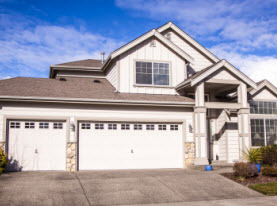 An insulated door will help to keep the garage inhabitable during our scorching summers; particularly if the garage door is facing south or west. Insulation also help in the winter as without it, home heating is radiated out through the door and wasted. 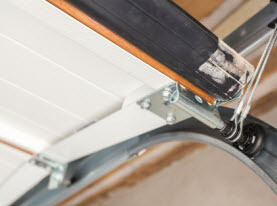 A well lubricated garage door roller works to keep physical door opening efforts to a minimum. Garage door openers are powerful and heavy mechanisms. If they fail, manual operation certainly requires some strength. Steel coil attached to the door via cables does assist, but does not cancel out enough weight to be a total solution. When choosing a garage door, you will want to avoid any plastics in the trim or primary construction. Plastics do not resist sunlight and high temperatures well at all. They oxidize, become brittle and tend to self-destruct over time. Real wood tends to dry out and split. Wood is a high maintenance material in our hot desert sun. Metal is well suited to our environment. And with baked on finishes on today’s contemporary doors, your garage door will enjoy a long life and with minimal upkeep. Sectional doors work well. It’s no surprise they are the primary urban living solution found in neighborhoods across the nation. Swing out doors do not work well in the short, cramped driveways populating current Las Vegas, NV housing divisions. These swinging doors require space to open. Sliding doors given the tight clearances would have to have tracks extending into our neighbor’s yard. They are just not a viable solution so we have become dependent on sectional garage doors that offer a range of design choices. In addition to many designs and colors, you can choose with or without glass windows as well as insulated or uninsulated. It’s important to make sure you have a licensed and bonded contractor install your door. You don’t want to find your vehicle or even worse a loved one under a collapsed garage door. Tuning of the torsion spring and opener can be frustrating and dangerous unless you’ve done a lot of them and know what you’re doing. For garage door installation, repair or maintenance questions call AAA Action Garage Doors. Our staff will be delighted to assist you in solving and problems or replacement issues you may have. © 2019 AAA Action Garage Doors. All rights reserved.